Application: Drum Seal temporarily seals cracks and small holes in tanks, drums and machinery. 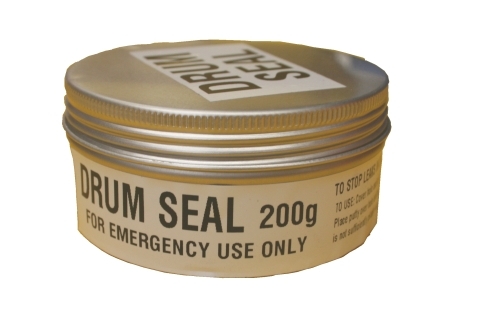 Drum Seal is a premixed bentonite clay paste that you push into the crack. Paste will temporarily stop leaks until the drum or system can be drained or removed into a containment area. Resistant to wide range of chemicals and oils & fuels. Drum seal has been pushed into a split made by a fork lift tyne.